Hogg Robinson Group (HRG) has announced a 10% rise in revenue to £187m for the six months to 30 September, with new business wins including AIG and Allianz. The business travel agency posted a pre-tax profit of £16.6m for the period, up 25% from the £13.3m reported a year ago, while net debt was down £16.9m from September 2010 at £68.9m. Client spend was up 13% year-on-year, while client travel transaction activity was up 7%. HRG chief executive David Radcliffe said: "The strong first-half performance continues the momentum we reported earlier in the year. This steady and consistent growth serves to highlight the strength of our business model, which is underpinned by our ability to help clients maximise the value of their corporate travel budgets. 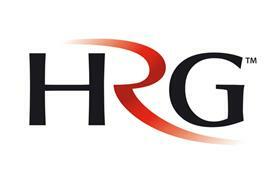 "We remain mindful of prevailing macroeconomic uncertainty but have confidence that our compelling customer proposition, strong foundations and momentum will see HRG deliver a full year in line with expectations."